Local dictator Ramzan Kadyrov rules Checchnya with an iron fist and far more autonomy from the Kremlin than any other region in Russia. Sixteen years after major Russian military operations ended in the Second Chechen War, questions are being raised about whether Kadyrov’s dictatorship is increasing the long-term risk of a renewed conflict between Chechnya and the centre. Such questions have often come from Russian nationalists weary of his large personal army. Others in the Kremlin however view it as a bulwark of stability as it could effectively serve as a Putinite Praetorian Guard should the big man in Moscow need assistance from his Caucasian protégé, Kadyrov. However, the series of terrorist attacks across Chechnya on 20 August demonstrate that it may be Chechnya’s internal stability that crumbles under Kadyrov’s thumb rather than any turbulence in Moscow that is the greatest risk. The attacks struck police checkpoints in Grozny, Shali, and Mesker-Yurt, and it quickly became clear the attackers were remarkably young. One local official put their ages between 11 and 16. At least four were killed, though reports have varied, as well three police officers. The attackers’ youth alongside a claim by the Islamic State affiliate Vilayat Dagestan that it was behind the attacks demonstrate the growing alienation of the region’s youth. Young men are forced to pray in mosques that adhere to Kadyrov’s odd blend of local Sufi traditions and Sunni conservatism. Job prospects are poor. Those who leave in search of better economic prospects elsewhere in Russia face ethnic discrimination and demands for ‘taxes’ paid to Kadyrov and his cronies. Chechen organised crime remains an attractive alternative, but these groups have increasingly been co-opted by other actors, including the state. Amid all this, Chechnya’s local extremist groups have largely ceased to exist, a result of incessant hounding from the Russian security services, attacks from Kadyrov’s own paramilitaries, as well as coercion into joining these bodies. Those extremist groups that do exist continue to remain loyal to the cause of Chechen independence, a matter that drove its two wars with the centre after the collapse of the Soviet Union. Most individuals from these groups largely fled into exile, where many were hunted down by Kadyrov’s proxies. Those who did remain were drawn in large numbers to the conflict in Syria, with hundreds believed to have joined the Islamic State and dozens at least joining other extremist groups. It is unclear how many of these individuals have returned to Chechnya, though Kadyrov himself has announced a few rounds of ‘amnesties,’ largely to the widows and families of militants. But the youth involved in the 20 August incidents, the largest coordinated attack in at least five years, demonstrates there is a new groundswell of support for such extremism. Notably the attacks also had a clear Russian element, Vilayat Dagestan said it choose the date of the attacks as Kadyrov ordered local celebrations honouring General Anatoly Romanov, one of the key commanders in the first Chechen war. 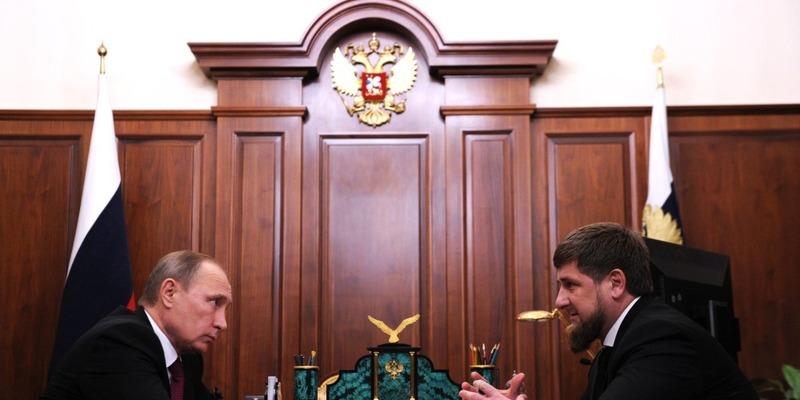 The status quo in Chechnya, and regarding its relationship with the rest of Russia, rests solely on two men: Vladimir Putin and Kadyrov. However, it appears increasingly unlikely to hold. The question is how the pair will react.